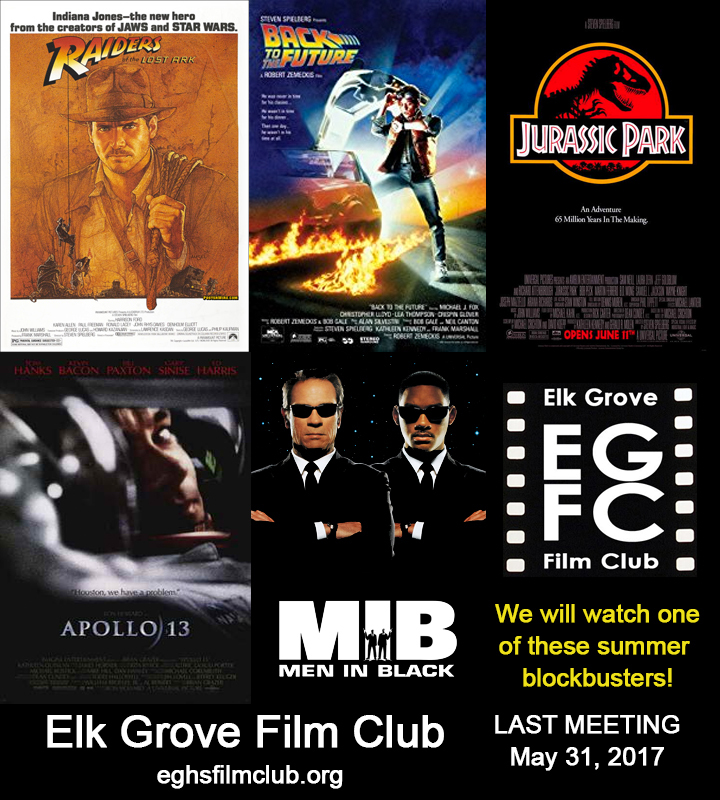 Our last Film Club meeting will be on May 31, 2017. We will be watching a famous summer blockbuster. Which one will we watch? Click here to vote.